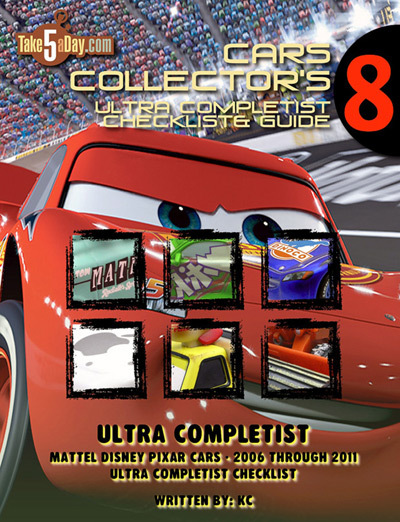 As you requested, there is a new COMBINED CHECKLIST with everything Mattel Disney Pixar CARS 1:55 in one photo checklist – our biggest issue ever! (click for a FULL PREVIEW) … so what’s the final count? Including updating some variants, it’s 433 + 21 Haulers + 35 rubber tire racers + 2 racers in boxes + 3 repeats releases with Piston Cups or 494 CARS. This includes 3 Disney Stores CARS in scale so if you don’t count those – 491. This includes everything (including Toons, Storytellers) but not lenticulars. This does also include “Mike I’s.” hard work in updating our Lizzie variant count … The radiator cap deal was known as well as the purple-lavender-white headlamps things. But since Lizzie’s were hard enough to collect – for the most part, I didn’t spend too much time dwelling on it as we have a few hundred thousand other issues to look at but now that we have time to genuflect … Mike I was instrumental in helping sort through the issues so there are at least 4 Lizzie variants. The first two were mostly know. Thailand produced radiator caps had an extra square piece while the China Lizzie radiator caps were round (left below). And yes, the headlamps varied in color but since Lizzie’s were hard to find anyway – the headlamp color thing didn’t really affect its pricing by very much. The few Pixar screen grabs show Lizzie with purple headlamps – my feeling is that it’s an incorrect color monitor adjustment that remained uncorrected so it appeared purple when it probably should’ve been yellow-white. Mattel ran with it and Pixar signed off on it. But Mike I also found Lizzie’s where the radiator caps are BELOW the hoodline … very interesting … And they come in both versions (Round and square-round radiator caps). This issue is really for the ultra completist collectors. It’s text heavy without repeating a lot of the photos from previous issues. It’s a recap of each series and the hard to find/ultra collectibles. It’s a recap of the CARS unique phenomenon of “factory unauthorized production” runs – how to spot some of them and their perceived value once you know all the info. And there’s a chart of the Top 10 rarest CARS. This issue also breaks out ALL the open variants including the 4 Lizzie’s. Also, now you can have a hard copy of the MSOS prodution date database as a guide to see if a set you’re buying matches those dates, plus much more! Again, click on the link for a preview to see if you’re interested. 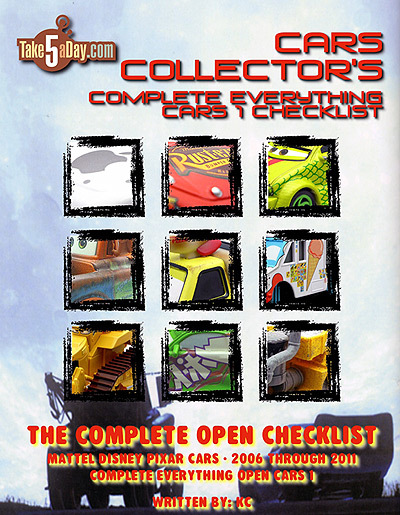 For those who are not/will collect the Toons, the other open checklist is still available. To avoid confusion, I am now calling it the MAINLINE CHECKLIST 2006-2011. I know people have asked for a Toons checklist by short – do you want a Toons checklist by itself or do you want it with everything else … in that case, i would probably do a chronological one – with listings broken out by its first release? Interested? Not interested? Thoughts? 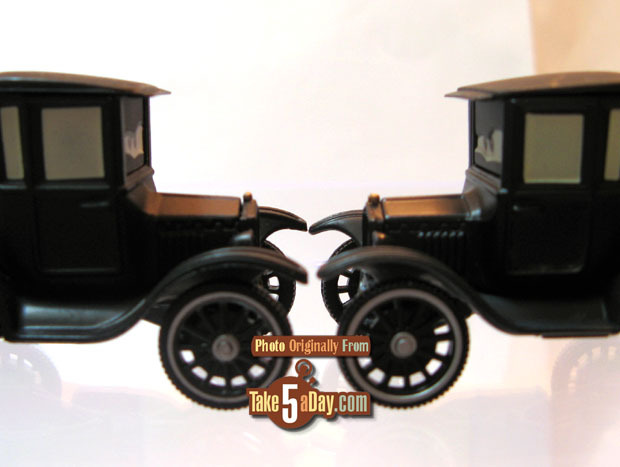 Do the digital copies allow you to check the boxes for the cars that you have? I want to book to see all of the cars but I also I want to books to keep track of my collection and I prefer the digital only copy. If I cannot check the boxes and save it though does not seem much use to get the digital copy. (MET: Yea, sorry – they are only “text” PDF’s … maybe down the line, we will be able to create more interactive versions …). We got our Complete Open checklist in the mail yesterday. Looks awesome! Thank you for taking the time to create something like this. Looking forward to getting the 2011-2016 edition! Thank you so very much for ALL these magasines….I even purchased the minis magazine (#6) but I do not own a single mini…Just want all the magazines. Such wealth of information…did not know until tonight about Lizzie variations. When I got my copy of “The Openner Cheklist Mattel Disney Picar Cars Complete Mainline Cars 1 2006 Through 2011…I noticed two things but did not have a chance to reply before this new one came out. Before pointing them out, I took a look on the site and there seems to be the same two tings… a missing caracter and caracter names listed under wrong car (I think). Missing photo of : Crew Chief Nitroade…if he is there…please point out on what page? (both magazines) and Leak Less Pitty (Stacy) seems to be Leak Less Pitty Tall and vice versa….correct me if I am wrong. (MET: Thanks for T5 support! Stacy is included as Leakless Pitty (stacy) aka: Tall Pitty. Unless I’m mistaken, they just removed her name from the Pitty Crew release – Pitty’s that look the same are just presumed to be the original single when it had a name – the only real exception is Bruiser which has come in a blue & brown eyed version – most other Pitty re-releases that are “different” usually come with a gun or not … as for Nitroade Crew Chief – yea, somewhere along the line he got incorrectly dropped. Now to decide how to squeeze him back in there … humm … I guess the simplest thing to do is to remove one of the look-alike three Nitroade variants … sorry – will fix). Every time one of these amazing checklists comes out I find more Cars I missed out on! 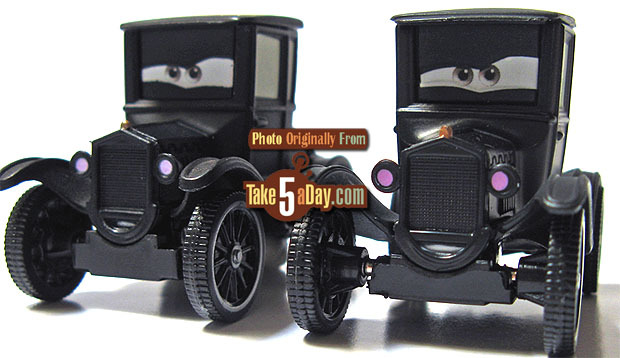 Luckily I found some Cars Toons I’ve never seen at the Bon Ton for $3.50 today! Oh do tell! Which ones did you find? Thanks, Met! Just ordered ours. BobbyJack and I can’t wait to check it out. Didn’t need to do the preview, its what we were waiting for. I am compelled to get the Compeltist magazine. Thank you Metroxing. Just what I have been waiting for. does the include the team sets and 3&4 packs or is it just all released cars? Thanks John, I did post it on ebay just to help fan the fire………. 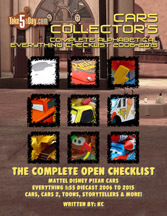 (MET: This is the open checklist and yes, it includes every Pitty if that’s what you’re asking including the oddball ones that only came in a particular set (such as the Bumper save team hauler one) … repeat Pitty’s not shown separately but if they changed eye colors like Bruiser/Chick Pitty – then yes also). Hilarious! Is it an auction right now? I think we need a checklist titled, “Cars that came out that you never saw on the pegs or never made it to the pegs”. Whoops, add El Materdor to my list too. If you’re still looking for Paul Valdez you may want to check your local TJ Maxx. Paul Valdez and Chet were selling for $12.99 each at TJ Maxx. Overstocked somewhere-like the Mattel distributor warehouse. FYI, it’s Competist in the title of the post. ughhh…i= im cofuused. ummm what? And now it’s time for the Lenticular issue! (MET: If someone has ARTIE on a US card – then I can actually start & complete the guide …). Any chance that there is a lenticular issue somewhere in the near future? (MET: Yea, coming soon – working on it! Thanks). I realize that most collectors seem to hate the lenticulars, but no denying they exist, wouldn’t any complete checklist include them also? 100 years from now these documents may be the final record of production, I don’t see the point of excluding a subclass just because they aren’t popular now. The rarest collectibles are usually the ones that were not popular in their day. Gotta love the conversion from metric to standard and then back to metric again… all in the same sentence!